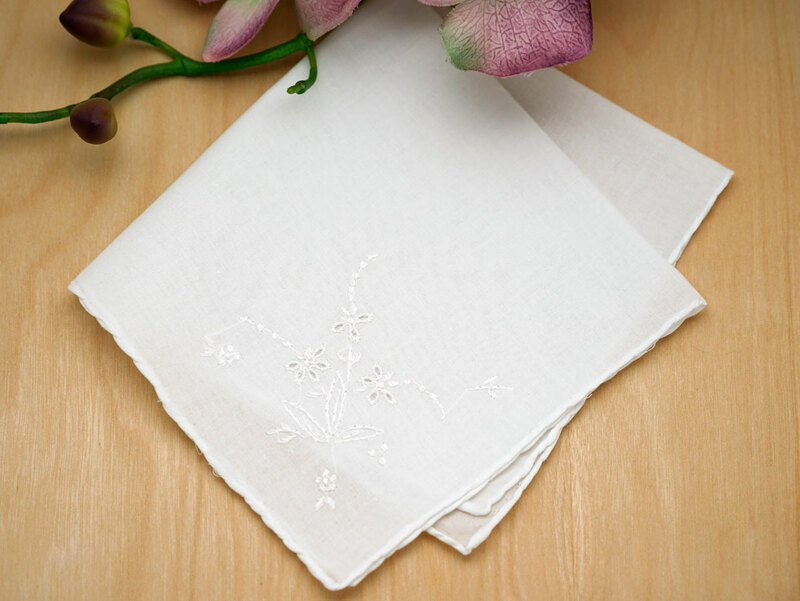 This is a set of 3 white wedding handkerchiefs embroidered with delicate flowers. 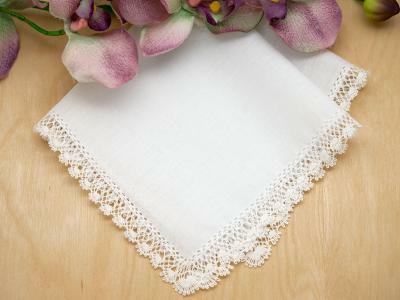 Each handkerchief has hand rolled edging and is embroidered with small flowers. 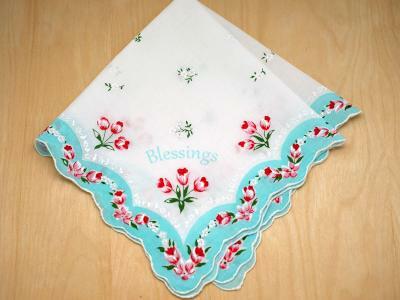 The handkerchief is 100% cotton and measures approx 11" by 11" square. 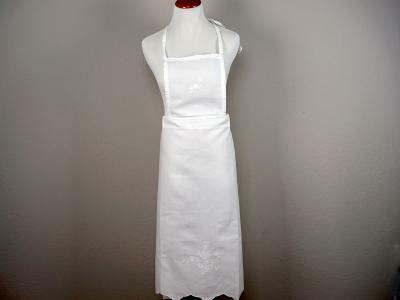 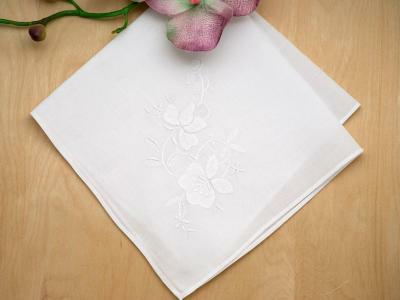 Set of 3 White Handkerchiefs with Delicate Embroidery Customers have rated this product	5 out of 5 based on 2 rating(s). 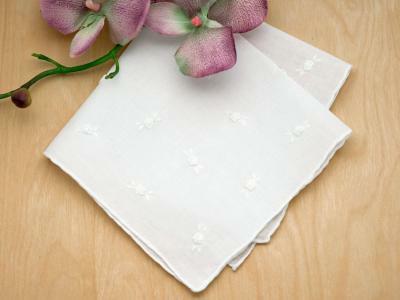 These handkerchiefs are pretty, and their size and weight are perfect for every day use. 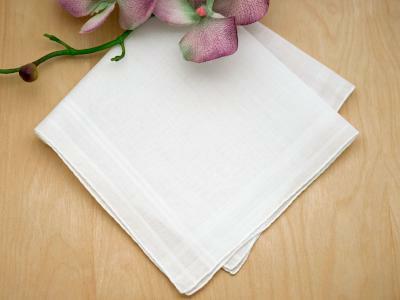 They came promptly and were exactly as I had hoped.